MarketersMEDIA / Newsroom / Indian Rail Composite Market Dynamics Impacted by development of new composite applications and intense market competition. Indian Rail Composite Market Dynamics Impacted by development of new composite applications and intense market competition. The 222 pages latest publication Indian Rail Composites Market throws light on the market dynamics and the factors impacting the business environment. 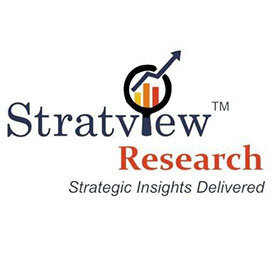 Michigan, United States - March 25, 2019 /MarketersMedia/ — Stratview Research’s latest market report on Indian Rail Composites Market covers the wide spectrum of the factors governing the future growth including drivers, challenges, emerging trends, technology changes, and environmental factors. The report is a perfect blend of insights and market figures which would enable the business strategists to churn out the future business strategies. According to the report Indian Rail Composites Market is likely to reach an estimated value of US$ 122.3 million in 2023. The Indian rail industry has undergone a remarkable transition over a period of time with regards to the adoption of composite materials in various applications. The rail industry is one of the largest consumers of composite materials in India and has efficaciously witnessed a continuous increase in the penetration of composites over the last ten years. The penetration of composites would not cede here and is likely to increase further with the development of new composite applications as well as to address changing customer demands with evolving trends, rapid transformations in technologies, and intense market competition. This will correspond to an attractive growth opportunity for both existing as well as new players. However, the Indian rail industry currently lacks the presence of global composite part molders that have the capability to fabricate a large number of composite parts using advanced manufacturing processes. There is an immense requirement of such players that bring good composite technological capability in India and augment the overall composite capabilities for the Indian rail industry. Another restraint of the market is a relatively low awareness of the rail industry’s personnel about the benefits of composite materials over their rivals. The supply chain of this market comprises of raw material suppliers, composite part fabricators, rolling stock manufacturers, and the government. The major raw material suppliers are Owens Corning India, Goa Glass Fibre Ltd. Reichhold India Private Ltd., Satyen Polymers Pvt. Ltd., and Atul Pvt. Ltd., whereas the major composite part fabricators for the Indian rail industry are Arham Composites, Kineco Private Limited, Tech-Force Composites Pvt. Ltd., Permalli Wallace, and HCL India. The key rolling stock manufacturers are RCF Kapurthala, ICF Chennai, Chittaranjan Locomotive Works, Diesel Locomotive Works, Alstom Transport India Ltd., Bombardier Transportation India Private Ltd., and GE Transportation. Stratview Research has done a rigorous study on Indian Rail Composites Market in its recently launched market report. Market forecast has been done after considering the views of key decision makers, extensive desk research, key market drivers and challenges, apart from our market expertise. Identify the most important factors and opportunities impacting your business decisions.